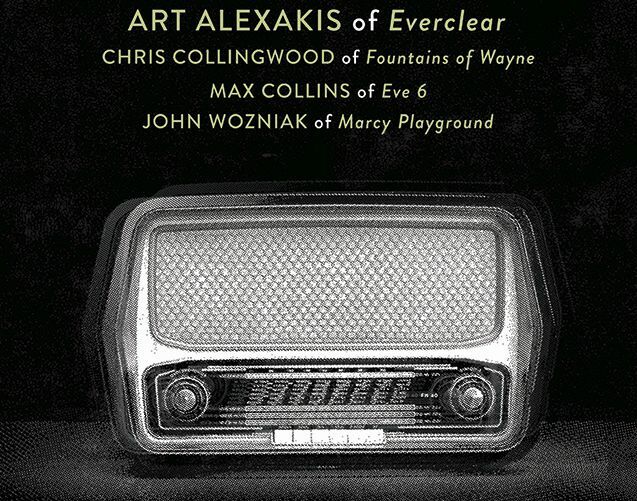 Art Alexakis, the charismatic frontman of the multi-platinum rock band Everclear, has announced an intimate, collaborative acoustic tour for May-June 2019. Art has invited three of his friends to join him on stage each night - fellow platinum artists Chris Collingwood (Fountains of Wayne), Max Collins (Eve 6) and John Wozniak (Marcy Playground). The Songs and Stories tour will deliver a one-of-a kind opportunity for each frontman to perform stripped down versions of their band's hits, deep tracks, and new songs - and the stories behind all of them. The four men, collectively performing together for the very first time, will share the stage on multiple occasions during the show. The 2+ hour performance, delivered in an intimate, seated setting, will be capped off by an interactive encore, allowing fans a unique opportunity for Q&A, special requests, and 'come what may' banter. Tickets go on sale this Friday, February 15th.